Neither of these cars were "bad cars." Their engines didn't quit at 20,000 miles. They didn't spontaneously combust. They didn't start rusting on the showroom floor. They just should have never been marketed. 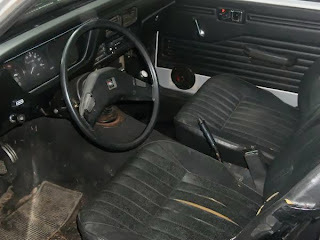 The Isuzu was a competent competitor in the Toyota Corolla class of cars. Had GM kept the Isuzu badge and sold it side by side with the German built Opel, they may have had a leg up in the burgeoning Japanese econo-car market and the German sports sedan / coupe market. The Lincoln Versailles seems like a bad joke. Except it wasn't. 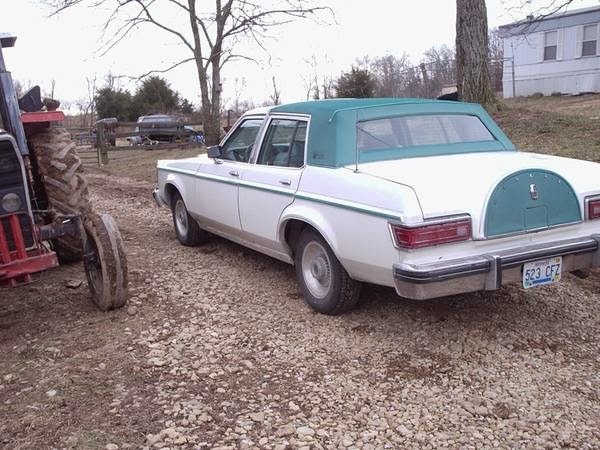 Ford wanted a mid-sized Lincoln, so they pimped out a Granada. Ford thought it would sell. It didn't. 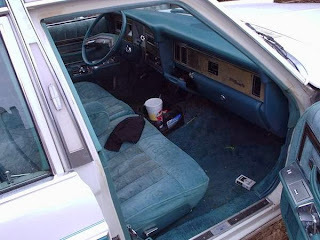 It was the first of a series of mistakes Ford made with the Lincoln brand. A brand that today is on the ropes because of those mistakes. 1979 Buick Opel by Isuzu - When GM stopped importing the "real", German, Opel at the end of 1975, they replaced it with this; the Buick Opel by Isuzu. That's quite possibly the worst name ever given to a car. There wasn't even a model name, it was just Buick Opel by Isuzu. The reason this was done was pretty simple; cost. There were hundreds, if not thousands of Buick dealers in the US at the time. They all had big, lighted "Buick / Opel" signs out front. The cost of changing all those signs would have been a lot for the dealers to absorb. The seller of this one writes: "This bad-boy starts and runs but WILL NOT STOP!!" (For some reason I found that wording pretty amusing at 7:30 AM.) It needs a master cylinder and a brake booster. This car is restorable. It's rough around the edges, but it's complete and looks to be free of any serious rust. If you're looking for a cheap ($800.00) restoration project - and something fairly unique to show at your local car show - this Buick Opel by Isuzu may be worth checking out. 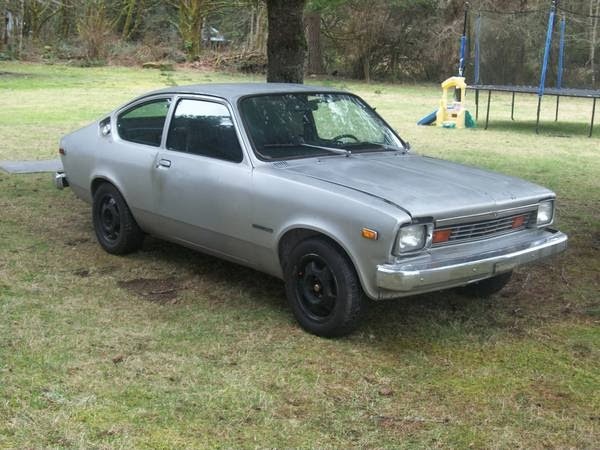 Located in Olympia, WA, click here to see the Craigslist ad. 1980 Lincoln Versailles - The Versailles is a Ford Granada with a Continental kit, a formal (is that the right word?) nose and a Lincoln badge. In my eyes, it is one of the uglier cars ever built. On the plus side, the Versailles was the first American car to use halogen headlights and the first to use clearcoat paint. I can't think of any other plusses. This car is all original and looks to be in good shape. With a quick buff and puff, you could bring it to your local Ford show. It would be a nice break for the folks attending the show. After spending the afternoon repeating the word "wow" while walking past the incredible Thunderbirds and Mustangs, they can stop at your car and exclaim, "Why?". The seller wants to get something in trade for this car. (Insert snarky comment here.) He will take cash though, if he has to. Located in Lebanon, KY, click here to see the Craigslist ad. Most of the Lincoln Versailles living in junkyards have been stripped of the 9" rear end which had disc brakes. The Versailles rear swap is pretty common among rodders. The best thing about the Versailles ad (besides the high-camp vehicle) is the pair of un-worn pants in the back seat. No further comment. Great to see another Buick Opel by Isuzu out there! The white '76 you featured a couple of years back found its way to Australia as you may know, where it continues to confuse and astound all the people who are used to the shape in RHD as the Holden Gemini. Shame this one is missing the over-riders; those things are DANGEROUS. I still haven't had mine locally complied, so it's only been out a handful of times on a trade plate, but I feel 2014 is its year! Pickles - Pants in the back seat are a sure sign that the price for a motel room in Kentucky is is too damn high. The Buick Opel by Isuzu is, perhaps, the best and most interesting Chevette you can buy in the US (the Impulse notwithstanding).